Melbourne Basketball613 is all about playing in a social basketball group that promotes confidence and taking care of each other. Big chance that your going to get fit and if you put yourself in, you'll make a couple of friends along the way. There is no place for dirty tactics (in order to win) during games because they will just create tensions among players and adversely affect what the group is trying to promote. However, we expect everybody to play hard and really have fun. Events organised in North Melbourne, East Melbourne and South Melbourne. We take payment for court costs and administration, this can be paid on a casual per game basis or for a month. We are cheaper than most organised sports or gym memberships. 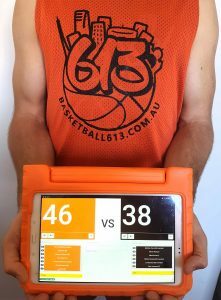 The Melbourne Basketball613 enables participants to play to the level of their ability. Competitions are conducted at various venues available in metropolitan areas efforts are made to utilise these when possible. The competitions conducted are primarily for "recreation" participation and although all teams are encouraged to compete to the best of their ability a "win at all cost" attitude is not supported. Individuals, or teams, displaying poor sportsmanship or poor conduct are advised that any repetition of unacceptable behavior will mean future entries may be rejected. Competitions conducted on Tuesday, Wednesday evenings and Saturday afternoons are for 'Mixed' teams and are strictly for "recreation" level only. Playing rules are not amended to limit the number of male players. Some competitions limit to a maximum of three on the court at a given time however we do not. Any combination of males and females is permitted. Males and females are always permitted in the key-way, no violation shall be called by the game officials. Players are allowed to score as much points as they like. As a "superior" player we encourage them not to dominate the game but to lead the team and encourage their team members with good strategies to win as a team. Competitions are conducted all year round, the winter season commences around Easter time ending around the end of September and the summer season commences immediately after the end of the winter season and may have a break over the Christmas -New Year period. Some games are conducted on public holidays. We are a united social group, playing around and goofing about is encouraged. All of our sessions are mixed gender, you must be human though. We are based in Melbourne and can organise events around different locations upon request and demand. Bring friends and family if you like! Our current members have varied skills. Beginners have played before and advanced players brush up skills and practice in a separate group. It helps to be able to be familiar with basketball terms and have the basic moves under wraps. However a passionate sports person who is keen learn could pick these up after a few weeks. Tell people about our social basketball in East Melbourne and Social basketball inner city Melbourne on social media. Links found at the top and bottom of this site. 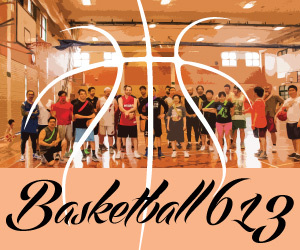 Description Compete in our social basketball competition. We expect everybody to play hard and really have fun.